Research has time and again highlighted how meaningful learning starts with strong reading skills. Children who do not learn to read at an early age find it increasingly difficult to “absorb printed information, follow written instructions, or communicate well in writing” which impedes their performance in higher grades, often culminating in early dropout from schools (Gove & Wetterberg, 2011: 1). This makes it imperative for any effort at ameliorating the quality of education to address the development of good reading skills among the children. There is enormous interest and investment in the potential of educational technology (EdTech) to improve the quality of teaching and learning in developing countries. The primary aim of this article is to highlight the various EdTech interventions with a focus on early grade reading. As India shifts its attention from school enrolment to quality learning it recognises the role ICTs can play in opening up a vista of opportunities for exploring and employing empirical science and innovation in children’s learning in general, and reading in particular. While the various Central and State government EdTech initiatives have found some success amongst the target beneficiaries they have been criticised for their lop-sided focus on technology, with lesser emphasis on learning outcomes. Primary level education lays the foundation for developing reasoning, critical thinking and cognitive skills. Therefore, several non-governmental EdTech initiatives in India are focussing on young children and basic learning. 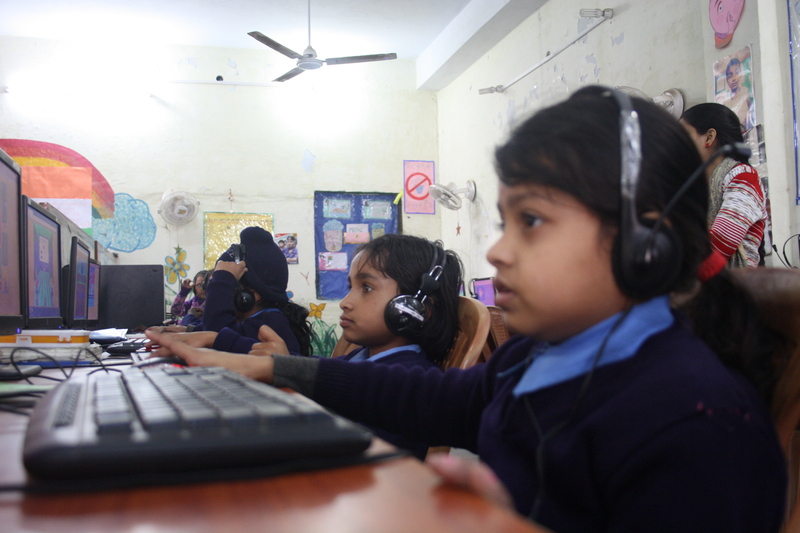 PlanetRead Leveraging technology to deliver quality education is at the heart of the work at PlanetRead. Imagine looking for just one children’s book in an entire village and not coming up with any. That is a reality, which has been experienced frequently in rural India. But since over 700 million Indians already watch Television and there are close to about 200 million smartphone users, can “books” or the “reading experience” be disseminated on media that are already in people’s lives? For 20 years, PlanetRead has been using the idea of Same Language Subtitles (SLS) on Television for mass literacy. One of their SLS project involves integrating AniBooks (animated books) into the schools and lives of children in Grades 1-3, or ages 6-10, to support the development of reading skills. They will try and leverage: 1) Pico and other low-cost, low-energy projectors 2) Computers already in schools 3) Personally owned mobile phones and potential smartphone users 4) Television at homes to deploy content in schools and homes. They will track the child’s reading progress through an app which will be easily accessible on mobile phones and tablets. Educational Initiatives Pvt. Ltd. Established in 2001, Educational Initiatives (EI) believes in making a difference in education through personalized learning and ensuring that students learn with understanding. A common focus throughout EI’s 12 years has been on systematically researching aspects of learning, especially assessment. They follow rigorous methods to develop the assessment tools which include in-depth textbook analysis and curriculum mapping, developing and pre-testing test items, getting external experts from the field to comment on the tools before finalizing and implementing the tests through their other interactive tools like Mindspark (digital self-learning program), ASSET, Detailed Assessment, CCE Certificate Course, Teacher Evaluation Program, Teacher Sheets and more. EI’s adaptive e- learning program for languages called Mindspark (for Hindi, Gujarati and English) allows students to learn languages by employing a constructivist theory of learning by answering questions that are appropriate to their current understanding on either tablets, desktops or laptops. It remediates misconceptions and supports teachers in schools to teach where the need is as opposed to a regular rehearsal based on his/her own intuition on what kids don’t know. Karadi Path Education Company Karadi Path methodology is an indigenously developed language learning process that is revolutionizing the way language proficiency is achieved in schools. It is the product of over a decade’s research into language acquisitions. Their Magic English-SLL is a 2-year, 2-levelled program specifically designed for students coming from English-deprived environment. 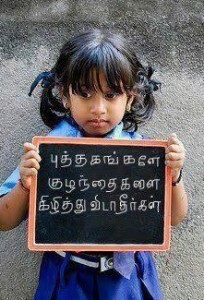 This project is being implemented in Tamil Nadu currently. Each level consists of 72 sessions of 40 minutes each (96 hours total). The sessions are included in the school’s regular timetables, typically running three sessions each week. The school kit consists Karadi Rhymes books, DVDs, Phonetic DVD and flip charts for Reading Path activities. The audio visual mode of program delivers a rich English learning environment in the classrooms. Through a series of videos, the children recognize that each letter has at least one sound and understand how letter sounds can combine to form the words we speak. They start associating sounds they hear from audio-books with the print they are exposed to in the physical books. This leads to a rapid transformation from a phonic-reading approach to a sight-reading approach. The words progress from simple to difficult, and the sessions progress from reading individual words to reading phrases and sentences. BridgeIT The program, launched in India in the year 2010, is a replication of Text2Teach, an EdTech project running in the Philippines since 2003. BridgeIT, like Text2Teach, enables video distribution of study content over mobile phones directly into fifth and sixth-grade classrooms, using a combination of SMS and satellite video. Classrooms are equipped with a television and teachers are given a mobile phone and access to a central depository of educational videos, along with teaching guides. Teachers can request for specific videos by sending an SMS from their phones. 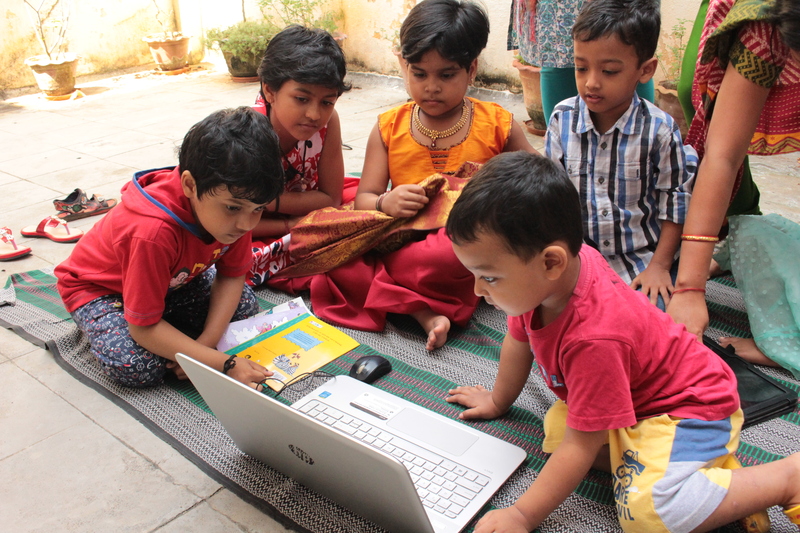 The success of the Text2Teach project prompted its adaptation in several developing nations including India (Velamuri, 2015). BridgeIT was implemented in 86 state-government schools in Andhra Pradesh and Tamil Nadu in 2013. Two subjects, English and Science, were chosen for the project, as it was found that the teachers’ need greatest support in these subjects (Velamuri, 2015). An evaluation of the project using Randomised Control Trial found that program has successfully improved the students’ reading and comprehension skills in English. Since the students are from rural background they used to find it difficult to understand even simple sentences in English in the pre-intervention period. The evaluation showed a remarkable improvement in understanding lessons in English after watching the lesson videos. Zaya Learning Labs Zaya Learning implements affordable, scalable e-learning technology to increase access to high-quality education and bridge the achievement gap. Zaya wants to empower students all over the world to receive personalized instruction, in and outside of school. Schools and after-school centers use their digital learning platform and content via tablets and their patented ClassCloud, a hardware device that enables the full e-learning experience offline, especially in schools which don’t have internet or stable electricity. 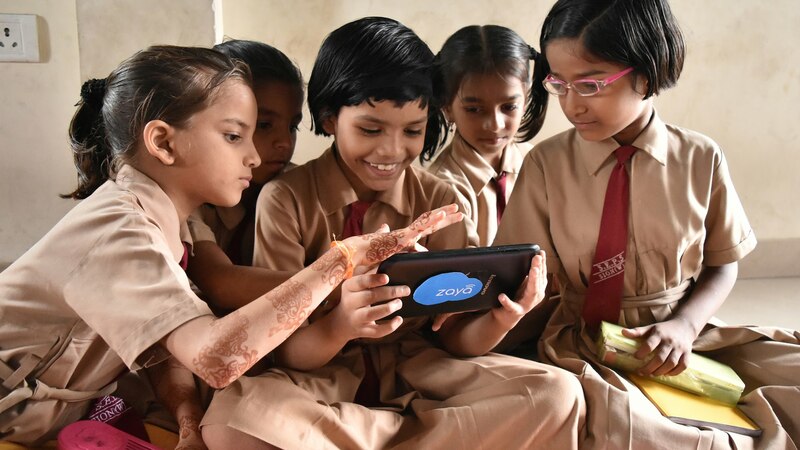 Zaya labs are currently impacting over 30,000 students in India. Zaya’s “English Duniya” is a mobile Android app which aims to teach children aged 8-12 basic vocabulary, grammar, listening and reading comprehension. The child is led through its personalized learning journey by a map and an avatar, earning points and unlocking new words in the process. The app uses the child’s mother tongue to teach English. The app works online and offline and aims to be accessible to the masses, especially parents and students from low-income groups who are unable to afford high quality English tutors. MGuru mGuru builds mobile learning apps for students in grades K to 5, focusing on English and Mathematics. mGuru app provides an interactive journey for children, with an explicit aim of accelerating learning outcomes in an engaging way. The vision of mGuru is to package the best learning practices and research into a platform for the masses, so that any child can have tools to gain basic literacy and numeracy skills. 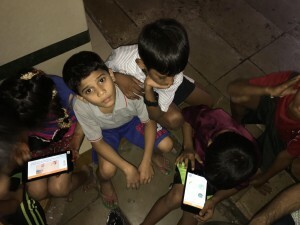 mGuru English is a mobile learning app for K-5 students, aimed at accelerating the acquisition of English literacy for the average Indian student. From basic phonics to grammar, the app provides an interactive journey for student’s learning that engages them and ultimately provides them with tools to read and understand Basic English. The app works without the Internet and is available in Hindi, Marathi, and Gujarati. Worldreader Worldreader is a global non-profit that believes everyone can be a reader. Worldreader provides children, students, and their families’ free access to its vast digital library via e-readers and mobile phones. With Read to Kids program, Worldreader is broadening its reach beyond Africa to India and beyond reading in schools and libraries to reading at homes. 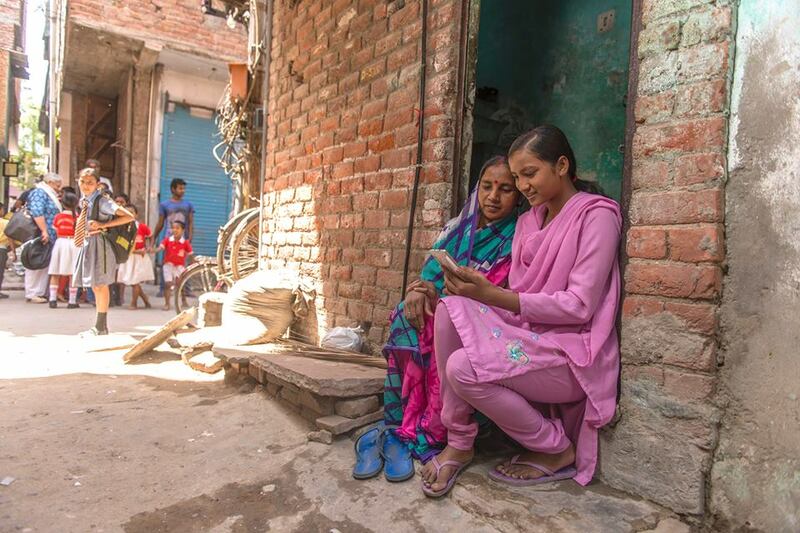 All of Worldreader’s research highlights an opportunity to leverage mobile phones to drive literacy among young children through parents and teachers. Today, Worldreader is helping improve global literacy levels and narrow the digital divide, with associated long-term impacts on poverty, education, health and social-well being. Through the Read to Kids app, the goal is to improve literacy rates by educating parents on their role in developing children’s literacy skills and by increasing access to a digital library of books and other educational resources via mobile phones. This pilot project is being run in Delhi at present. With the launch of the Digital India campaign in July 2015, the Central government has been emphasizing on e-learning to be introduced in all schools in its effort to digitally empower the nation. While this is a promising opportunity for the nation, a well-coordinated and targeted approach to integrate technology into our vast and complex school system is the need of the hour. This entry was posted in Mobile Phones, READ Alliance, reading. Bookmark the permalink.